Buying a luxury watch used to involve wandering between jewellers, gradually getting more confused by the thousand different options in front of you. Nowadays, you can take your time, sort by price and brand and then get your new watch delivered. No doubt this sedentary lifestyle means we will all end up with worn fingers and large bottoms but at least we'll have shiny new watches to admire. Amazon sells most of the big name luxury watch brands (Rolex, Omega, Tag Heuer), as well as loads of good quality brands offering decent watches under £1000. You generally won’t find the really exclusive £20,000+ brands on there (Patek Philippe for example) but you’ll find pretty much every other watch brand. Amazon prices often undercut the High Street jewellers significantly, although I have seen the odd Rolex which is being sold at well above market value. My advice is to take a close look at the seller before making your purchase. Most watches are sold by Amazon, but some are sold by third party sellers who use Amazon as a shop window. There’s absolutely nothing wrong with the vast majority of these, and Amazon is very good at customer service if anything goes wrong, but do take a look at the reviews of the seller first. Amazon frequently wins awards for customer service. Ernest Jones has a choice of about 2000 men’s watches which it classes as luxury, including Breitling, Omega, Tag Heuer, Tissot and Bell & Ross. They also sell Tudor and Cartier, but not online and only in a handful of shops. Prices go up to around £20,000 and you obviously have the major advantage of them having a High Street presence so you won’t be relying on Royal Mail if anything goes wrong. My advice with high street jewellers is to keep an eye out for discount codes, as you’ll find you can usually avoid paying full price if you are willing to wait. House of Watches is worth a look if you are looking for a pre-owned luxury watch but want assurances about its authenticity and condition. As well as new stock, they also have a good range of second hand Rolex, Breitling, Omega and Tag Heuer. 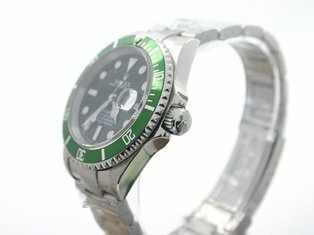 When I searched they had pre-owned Rolex watches starting from £2000 although most were £4000+. If you’d rather buy a new watch, luxury brands at House of Watches include Tissot, Rado, Oris and 88 Rue Du Rhone. High street jeweller Goldsmiths has a big range of designer and luxury watches up to £50,000+ including Longines, Hublot, IWC, Breitling. Goldsmiths also has a range of about 100 pre-owned men’s luxury watches which included Omega, Breitling, Bell & Ross, Franck Muller and Tudor when I searched. Second hand prices aren’t quite as low as you’d get from a private seller on eBay, but then again you get the assurance of buying from a long established retailer with a high street presence. Much like Ernest Jones, they offer the definite advantage of either trying out a watch instore or easily returning it if you have any problems. You’ll also find decent discounts appear fairly regularly, even on higher priced watches. There are bargains to be had on eBay and you can buy pretty much every watch brand in the world…but do some proper digging around to ensure you are buying a Rolex rather than a Fauxlex. Check out the seller’s recent reviews. How long have they been selling on eBay? What other items are they selling? What have recent reviews been like? Is this a one off or are they a respected independent jeweller with a shop? I would also look for items which come either a certificate of some kind or a receipt which matches the watch. 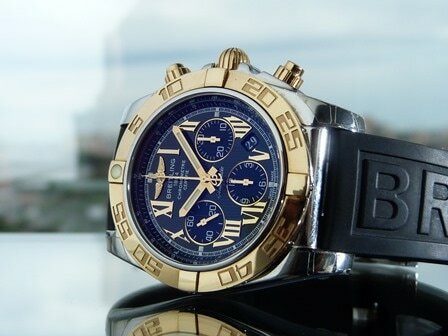 You’ll find new and second hand luxury watches on eBay. eBay is one of the few places I’ve managed to find Patek Philippe, Vacheron Constantin and A. Lange & Söhne watches for sale online in the UK. Jura Watches has half a dozen stores (mostly in the North) but it’s also a popular online retailer with a very good range of luxury watches, including some of the less well known brands. The highest priced watches are around £15,000. Luxury brands at Jura include Breitling, Bremont, U Boat, Dubois, B.R.M., Grand Seiko, Rolex, Jaeger Le Coultre, Bell&Ross, Ball, Nomos and Graham. They also offer payment plans you won’t have to find the full cost in one go. Beaverbrooks is probably the most upmarket of the high street chain jewellers. They’ve got a terrific range of luxury watches, with more than 500 men’s automatic watches to choose from and several in the £10,000+ category. Another high street retailer with a big range of luxury watches is Fraser Hart, with prices up to £25,000 and about 600 different watches in the £1000+ category. When I searched they had nearly 100 different Omega watches to choose from and a similar number of TAG Heuer, Longines and Breitling timepieces. Other big names includes Hublot, Tissot and Bell & Ross. You’ll also find some of the designer label watches which are less appealing to watch nerds, but which are popular with people who are fans of Gucci and similar fashion houses. If you’re after a Rolex you can see them instore at about a dozen of Fraser Hart’s stores but it doesn’t look like you can buy them online. Watch Shop is generally better for designer brand watches under £500, but it’s a huge shop with about 200 watch brands and 8000 watches so you won’t be struggling for choice. I’d say they are certainly worth a look if you have a few hundred pounds to spend on a men’s watch and want something like a Michael Kors, Hugo Boss, Tissot or Emporio Armani timepiece. 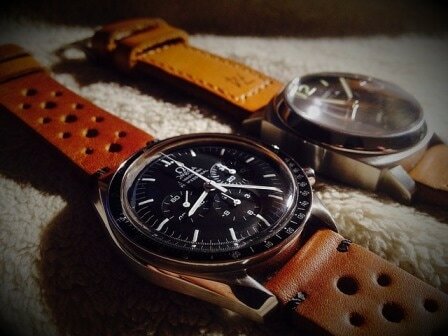 You won’t find the prestigious Swiss watchmakers such as Omega, TAG Heuer or Rolex. The Watch Hut is similar to Watch Shop in that most of its timepieces are under £200. It does have big savings on occasion, so it’s one to look at if you are looking for a watch by an Italian fashion house, rather than a Swiss masterpiece. There are a handful of automatic watches, such as some of the Gucci range.